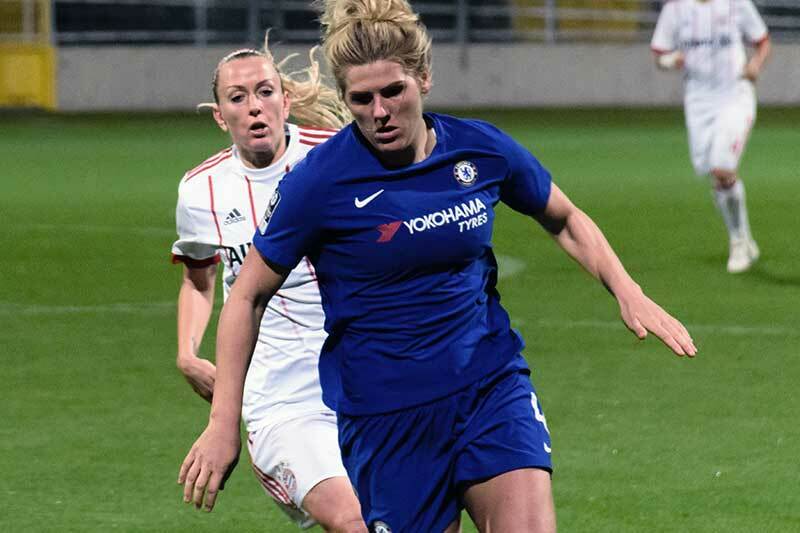 Chelsea center back Millie Bright says she is taking “nothing for granted” despite now having become a regular for England under both Mark Sampson and current head coach Phil Neville. The no-nonsense defender could have her 25th cap should she feature in both of England’s upcoming friendlies against Brazil on Saturday and Australia next Tuesday but the 25-year-old is keeping her feet firmly on the ground. “Some would say it,” she said, regarding it being a special feeling that she’s made the other spot alongside Steph Houghton her own, “But I never see it like that and my mentality has always been don’t take anything for granted. Nothing’s ever set in stone, you can’t take a position for granted because we’ve some good players. Bright made her debut just over two years ago after nailing down a starting spot for Chelsea but wasn’t always a regular starter as former head coach Sampson tinkered with different defenders and different systems leading up to Euro 2017. In the warm-up friendlies leading up to the tournament, Bright soon emerged as the clear favorite to partner captain Houghton in the Netherlands and the Sheffield-born defender admits it’s been a “roller coaster” two years. It’s been massive for me,” she admitted. “Everything happened quite sudden because I came in and then it was the Euros quite quickly after that. Bright is now with her teammates preparing for Saturday’s match at Meadow Lane against Brazil. The two sides have surprisingly never met before but Team GB did face Marta’s Brazil at the 2012 Olympics in London. It’s the start of a tough run of games which sees Neville try to prepare his team in the best way possible for the chance to go a step better than Canada 2015 when the latest tournament in France rolls around next summer. With Australia and Sweden set to follow and a return to the SheBelieves Cup in 2019 all but confirmed, Bright is looking forward to the test. While the lead up to the Euros 18 months ago saw England try out different players, systems, and formations — including a back three — Bright believes the best way forward is for the new head coach to continue what he’s been doing so far. The upcoming games also mean England will be taking on teams from three of the major continents ahead of the World Cup. Brazil’s South American flare is the first hurdle before they face an ever-improving Australia side with Scandinavian Sweden coming to England for a friendly next month. With England likely to be paired with teams from outside of Europe in next year’s tournament, Bright believes it’s important to get a taste of different styles as soon as possible. “It’s massively important,” she admitted. “You need to give yourselves as much exposure to different teams, different formations, different problems to solve on the pitch and that’s going to be important leading up to the World Cup. After a qualifying group which saw England’s toughest tests come against neighbors Wales, Bright also believes despite the fact they are friendly matches, her and her teammates will learn a lot more about themselves than qualifiers against Kazakhstan, Bosnia-Herzegovina, and Russia. “Every team gives us a different problem and a different challenge and it’s important we learn from every team and every game, regardless of whether we’re going to have all the possession or little possession.